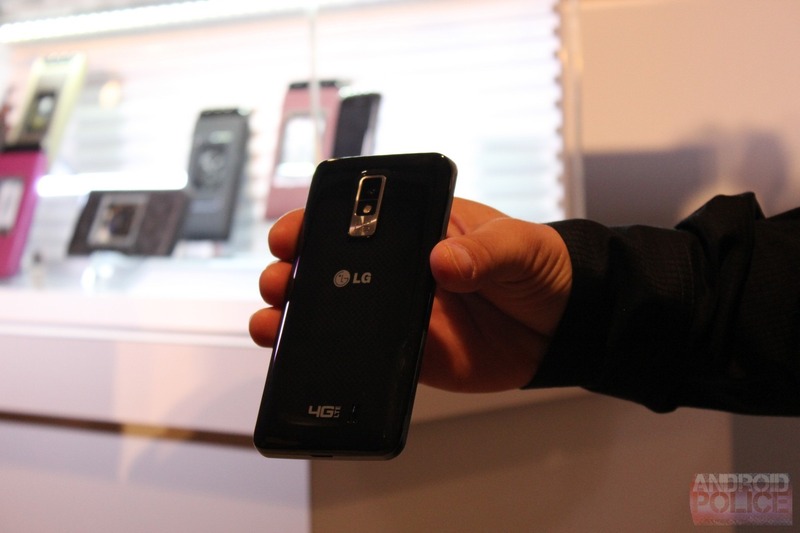 Update: LG just made official the Spectrum at CES, confirming the below list specs. It's a beast, baby! 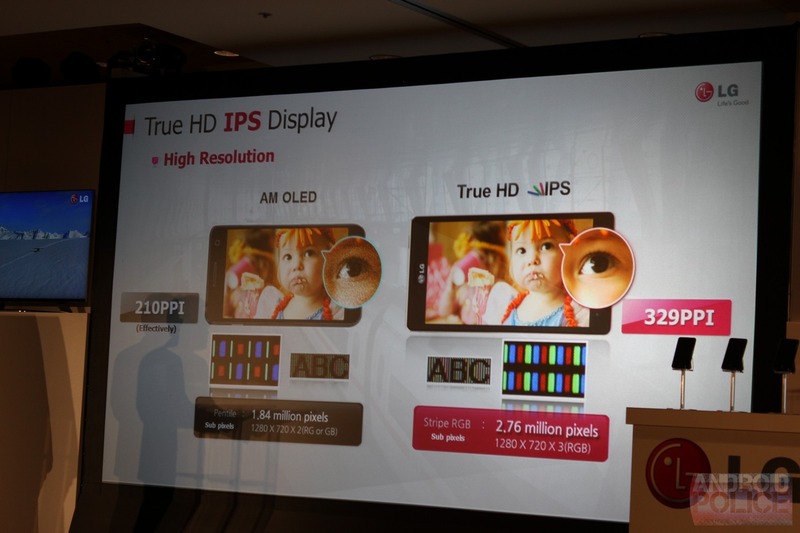 The screen may even be better than it sounds - LG advertises the fact that it uses the Real Strip subpixel arrangement, which will evidently make the screen "denser and sharper" than those that use Pen-Tile, though at such a high pixel density that isn't so much of an issue. 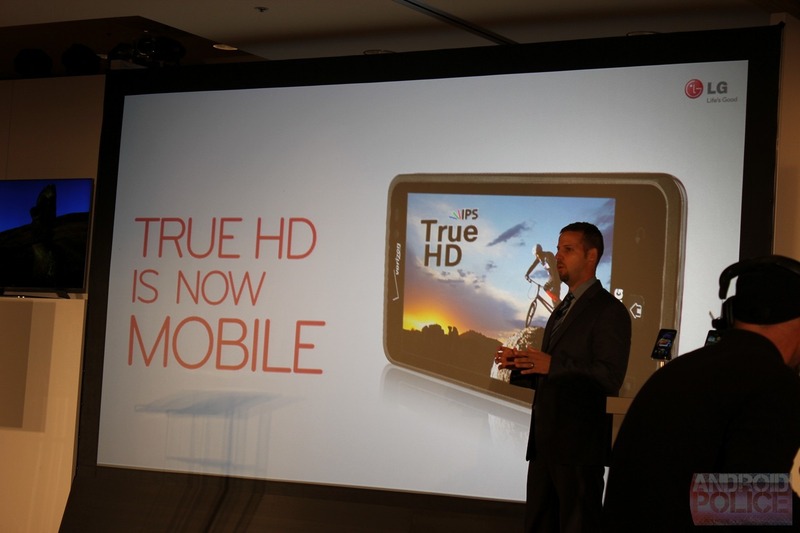 Solidifying the screen as a main selling point, the Spectrum will have access to some exclusive HD content: Netflix HD (much as the original Revolution was supposed to have Netflix first), Smartmovie HD video editing, and ESPN ScoreCenter with live 720p HD video. At this point, just about the only information that hasn't been disclosed is pricing, though with such high-end specs we can only imagine it will be up there with Verizon's other top-tier phones, at around $299 on-contract. 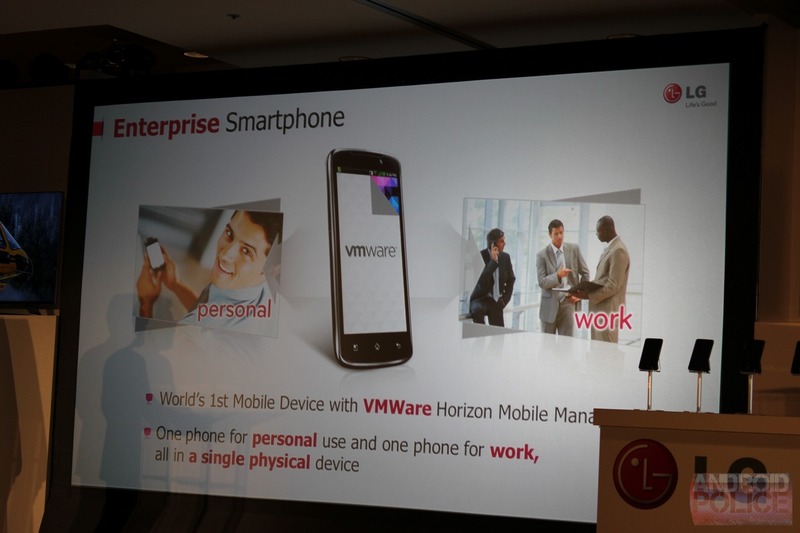 But with a release so imminent, such information should be official soon. Update from CES: The Spectrum is going to be more affordable than we thought -- $199 with a two-year agreement, out on January 19th. Bam! 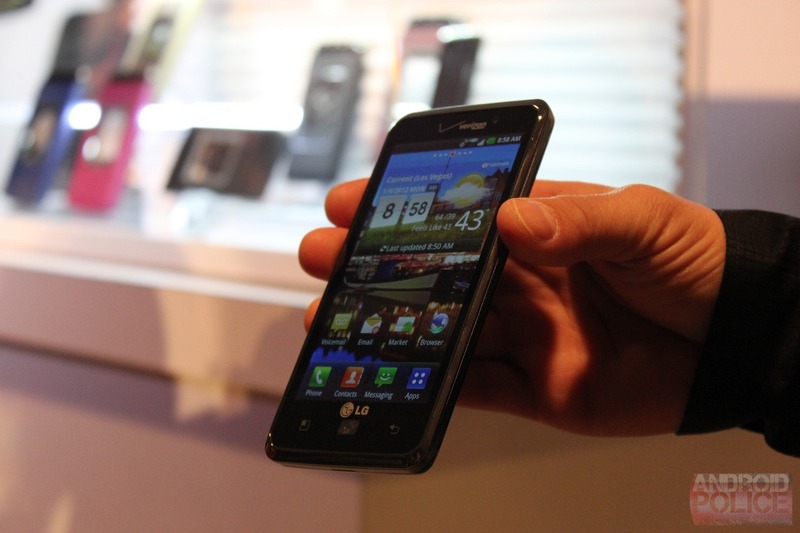 LAS VEGAS and BASKING RIDGE, N.J. - From the 2012 International Consumer Electronics Show (CES), Verizon Wireless and LG Mobile today announced Spectrum™ by LG smartphone, exclusively for Verizon Wireless. 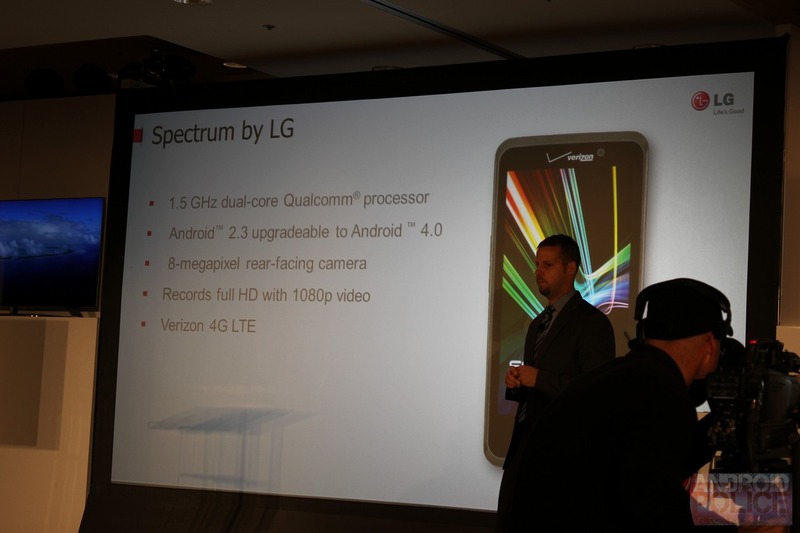 Spectrum is the first smartphone for Verizon Wireless to feature a 4.5-inch True HD In-Plane Switching (IPS) display, the same display technology used in premium LG HD televisions. 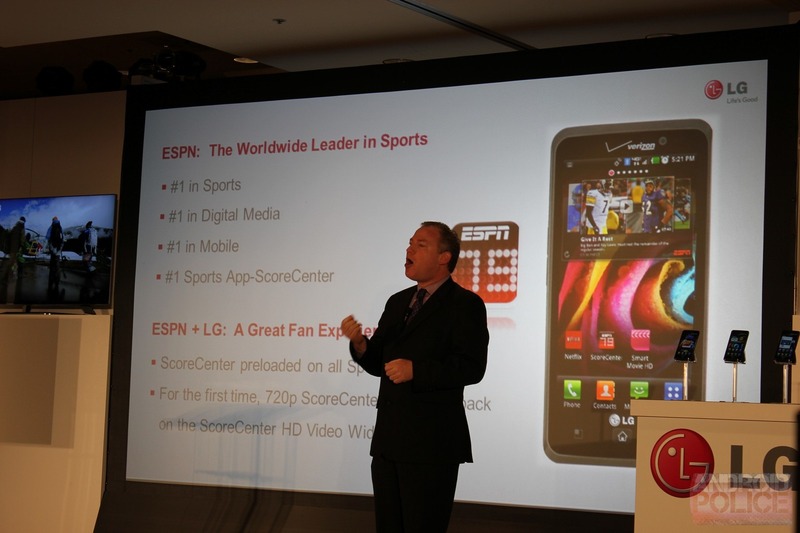 Intensifying its HD capabilities, Spectrum by LG will give customers exclusive HD access to the ESPN™ ScoreCenter application. Spectrum will be in the Verizon booth (Las Vegas Convention Center, South Hall, Booth #30259) and LG booth (Las Vegas Convention Center, Central Hall, Booth #8204). ESPN’s ScoreCenter app is supported by an exclusive HD video feed, giving customers the exclusive access to ScoreCenter stats, images and videos in 720p HD. Scoreboards and live game details include in-game stats, news and video. Personalization features allow fans to customize their ScoreCenter experience by highlighting their favorite teams and leagues from around the world, all in crystal clear high-definition. 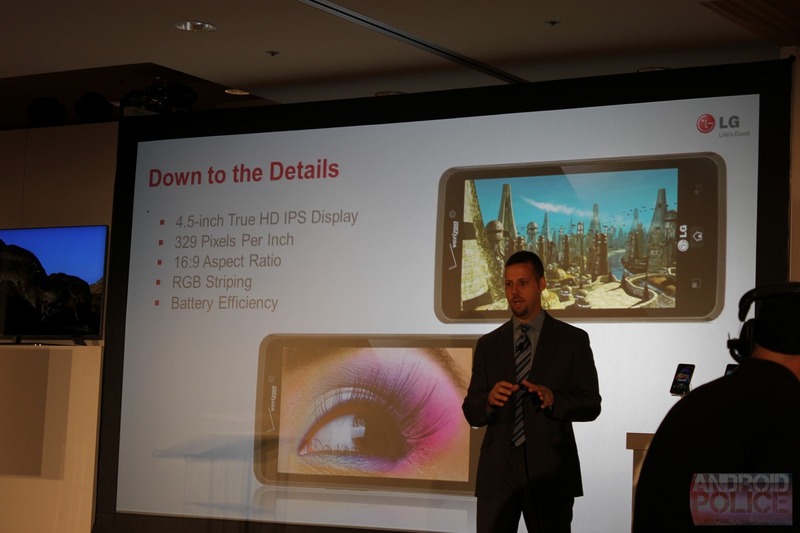 Showcasing LG’s True HD technology, Spectrum by LG supports 1280 x 720 resolution and offers one of the brightest and sharpest displays available on a mobile device. Spectrum’s 500-nit display luminance and Real-Stripe RGB pixels offer users clear viewing in direct sunlight and accurate true-to-life color rendering. 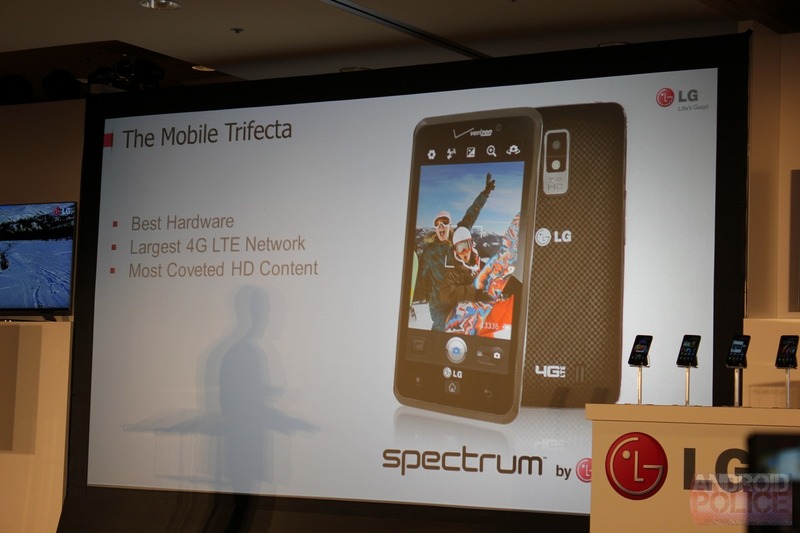 Spectrum also features a Qualcomm® 1.5 GHz dual-core processor combined with 4G LTE connectivity for robust power, multitasking and download speeds. Verizon Wireless leads the way in 4G with the fastest and most reliable 4G network in the United States, covering more than 200 million people in 190 markets. 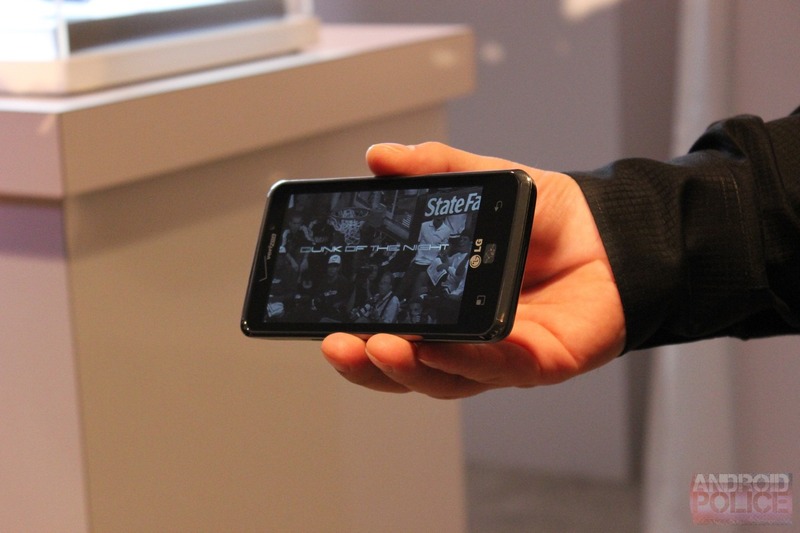 · 4.5-inch True HD IPS display provides natural colors and brilliant, undistorted HD images in 16:9 aspect ratio. 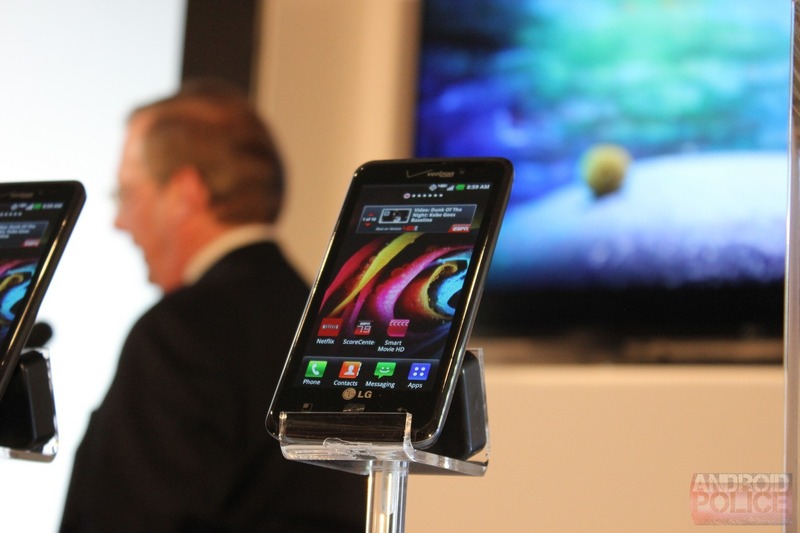 Pictures and texts are incredibly sharp with 329 pixels per inch (PPI) screen density. · Protected by Corning® Gorilla® Glass, the True HD IPS display uses Real Stripe subpixel arrangement so images never get blurred. · Android™ 2.3 Gingerbread (Android 4.0 Ice Cream Sandwich upgrade available the first half of 2012); support for Google™ Mobile Services including Gmail™, YouTube™, Google Talk™, Google Search™, Google Maps™ and access to more than 300,000 apps available to download from Android Market™. · Preloaded Netflix app allows Netflix subscribers to stream the latest movies in high-definition quality. 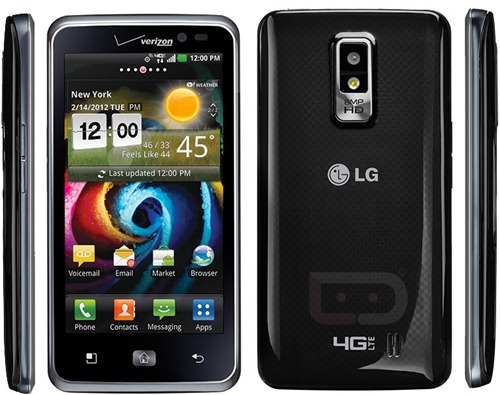 · Qualcomm 1.5 GHz dual-core processor makes multitasking seamless. Customers can surf the Web, check email and update social networks effortlessly. · ESPN’s ScoreCenter app offers the most comprehensive sports coverage available on an Android device whether you follow the NFL or Premier League, ICC Champions League or MLB™, NASCAR or Formula One™. 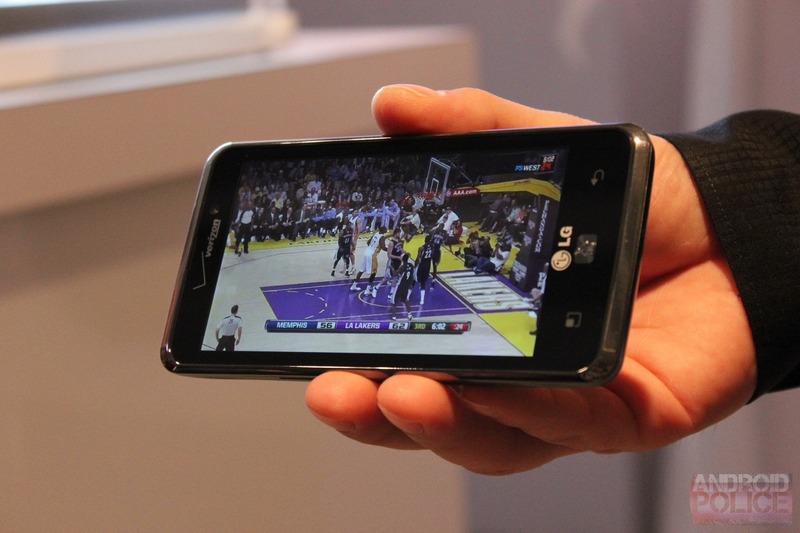 Customers can follow teams from more than 500 leagues around the world with an exclusive 720p high-definition feed for Spectrum by LG while connected to the Verizon Wireless 4G LTE network or Wi-Fi. · Spectrum supports Dolby® Digital Plus, which allows users to maximize their HD multimedia experience. Dolby Digital Plus can stream up to 7.1 channels of surround sound through home entertainment systems. for $199.99 with a new two-year customer agreement. · Customers who purchase a Spectrum by LG will need to subscribe to a Verizon Wireless Nationwide Talk plan beginning at $39.99 monthly access and a smartphone data package starting at $30 monthly access for 2 GB of data. for official rules, details and a once-in-a-lifetime opportunity to be a part of sports history.